Cronulla Beach Backpackers i Sydney, Australien: Reservér nu! Jobs Jobs Jobs – Want to work by the beach in a great part of Sydney. 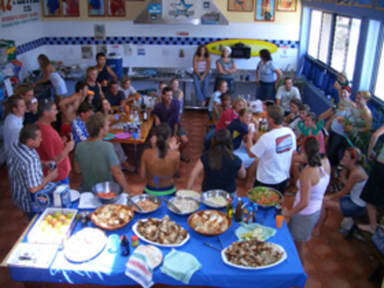 Party with new friends whilst staying in a smaller more personalised hostel. Then we have it all for you in Cronulla located on Sydney’s Southern Beaches. We have been actively getting jobs for working holiday makers since 2000 and have built up hundreds of local employer contacts who ring the hostel looking for workers. It’s usually pick up and drop off. You job success is also ours! Money for your next adventure is right here.